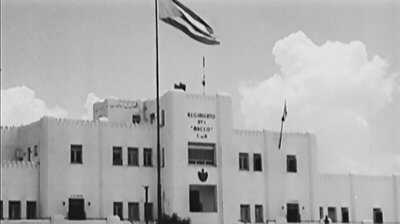 Moncada was the second largest military garrison in Cuba. Although Castro's assault failed, it earned him recognition as a leader of the opposition against Cuban dictator Fulgencio Batista. On March 10, 1952, Cubans had awakened to the news that Fulgencio Batista, a former president and a candidate with little hope of victory in an upcoming presidential election, had taken over the government by force. Batista's coup d'etat shattered Cuba's fragile democracy -- and the political aspirations of a young lawyer named Fidel Castro. Castro had been running for congress as member of a political party called El Partido Ortodoxo. Most Cubans were stunned, but at the University of Havana, traditionally a political hotbed, conspiracies abounded. Castro himself began preparing an armed revolt. "One night he was at the steps of the university," writer Norberto Fuentes recounted. "No money, no work, and he does not know what to do...and that's when he decides to attack the Moncada Barracks." Castro persuaded university student leaders to provide him with machine guns and some ammunition they kept for emergencies, and safely hid them at his sister's home in Havana. Painstakingly, he began to gather supporters -- two hundred young Cubans in one year, all members of Partido Ortodoxo. On the evening of July 24, 1953, Fidel's men (and two women) boarded two buses and left Havana for Santiago de Cuba, with the excuse of attending the carnival revels then in full swing. The group gathered at a farm near Siboney beach, twenty minutes from the city. There Castro informed them, for the first time, of the details of his plan. It was suicidal. Approximately one hundred and fifty young attackers, including Castro's brother Raúl, armed mostly with .22 caliber hunting rifles and the few weapons Castro had earlier retrieved from the university, would assault the Moncada Barracks -- the main provincial garrison of Batista's armed forces -- and take over the adjacent Palace of Justice, a nearby hospital and a radio station. They would proclaim a manifesto: a return to democracy and the ideals of opposition politician Eduardo Chibás. 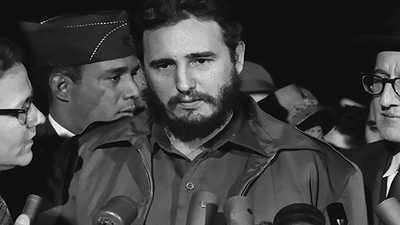 Castro's goal was to rouse the people to insurgency, hoping that the army would join the people and force Batista from power. "Even if it failed," Fidel noted, "it would be heroic and have symbolic value." At 5:00 a.m. on July 26, 1953, a caravan left the farm at Siboney beach and slowly made its way toward Moncada. At the head was Fidel Castro, and his second in command Abel Santamaría. Santamaría's sister, Haydée, followed in the second car with her boyfriend Boris de la Coloma, who wore a new pair of two-tone shoes for the occasion. Fidel Castro's car arrived first. Batista's soldiers opened fire. Outnumbered and facing superior fire power, the rebels stood no chance. Eight of the attackers were killed on the spot; another twelve were wounded. More than 70 were taken prisoner, including Raúl Castro. The detainees were brutally tortured, some even murdered, including Haydée's boyfriend Boris and her brother Abel. Haydée was taken prisoner, her brother's eye brought to her in prison. 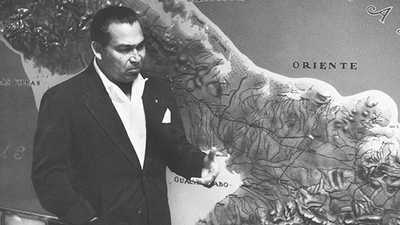 Castro himself escaped and hid at a farm in the Sierra Maestra mountains. One week later, after gaining assurances that he would not be killed or tortured, that he would get a fair trial, Castro arranged to surrender at the home of a peasant near Santiago. There are several versions of subsequent events. Castro's own account recalls a sergeant approaching him with a gun, but sparing his life with the words "ideas are not to be murdered." In reality the sergeant was simply following orders: Castro's life had been guaranteed by Santiago's Catholic archbishop, Monsignor Pérez Serantes. According to the testimony of Castro's best friend, Alfredo "Chino" Esaquivel, Perez Serantes's own intervention had been assured through the efforts of Castro's socially-connected wife, Mirta Díaz Balart, and a family member with influence as a close friend of Batista. In Havana other student leaders accused Castro of irresponsibility and cowardice, but he didn't much care. At his trial the following September, the young lawyer, speaking in his own defense, called for the overthrow of Fulgencio Batista and for reforms to make Cuba a more just society. "All of Cuba," said Melba Hernández, who'd sewn the uniforms Castro the attackers, "had its eye on the trial" -- and on its dynamic defendant. Fidel readily admitted to leading the Moncada attack, and dramatically pronounced: "You may condemn me. History will absolve me." His judges handed down a stiff sentence: fifteen years in prison. Castro was sent to the Island of Pines, off Cuba's southwest coast, to serve his sentence. 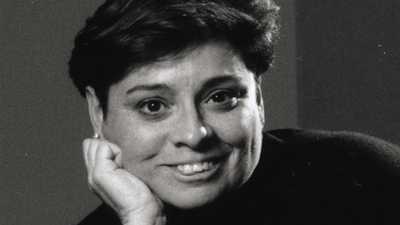 "Moncada was a wake-up call to the Cuban people," according to professor Marifeli Pérez Stable. Dialogue had failed; violence seemed the only alternative. "No one quite knew what to do about Batista, and Fidel pointed the way -- armed struggle," recalls Huber Matos, who became a rebel commander. Every year since the triumph of Castro's revolution, the storming of the Moncada would be remembered as the "first shot" fired in the struggle against Fulgencio Batista. For the leader of a small Caribbean nation, Fidel Castro's impact on the latter half of the twentieth century has been inordinate. In this interview, Cuban-born filmmaker Adriana Bosch describes working on Fidel Castro. He was called El Hombre, "the Man," and for three decades he was one of Cuba's most controversial leaders.